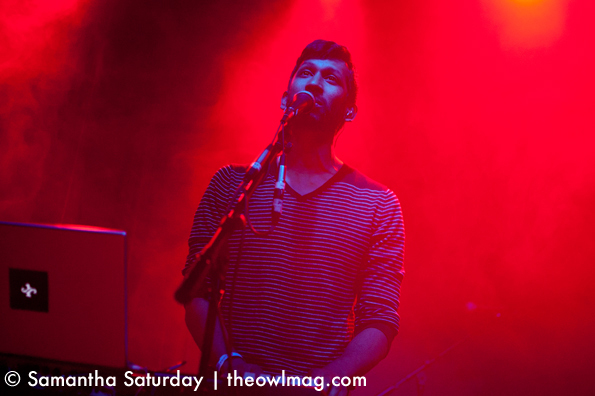 Located inside The Galaxy Theatre in Santa Ana, the smaller Constellation Room served as a perfectly intimate venue for a performance by indie rock veteran David Bazan, along with openers Caveman and the One AM Radio. The room filled quickly with both youngins and O.G. hipsters who clearly had been following Bazan since his days performing under the moniker Pedro the Lion. 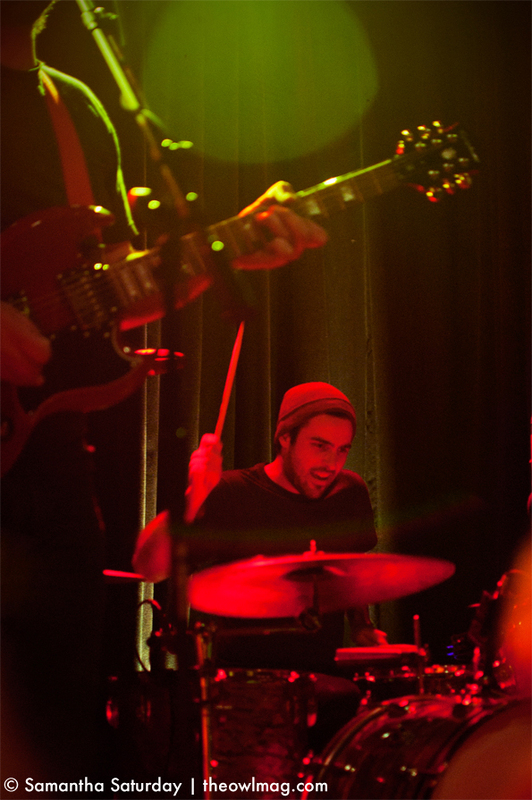 With heavy pop vibes, the Brooklyn quintet Caveman warmed up the crowd. Expecting a low-key show and having never heard Caveman prior to their performance, I was a bit taken aback by their immediate launch into several floor tom-driven tunes. Despite a stoic audience, the group powered through their set with impressive gusto. 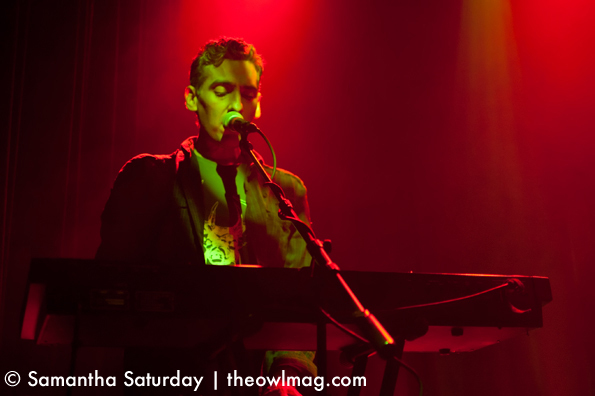 A quick set change later, the Los Angeles electro-rock duo the One AM Radio stepped up. Armed with electric guitar, a laptop, and an MPC, the One AM Radio layered sonic textures to create songs reminiscent of The Postal Service. Throughout the set, frontman Hrishikesh Hirway and guitarist Scott Leahy playfully quipped about Santa Ana’s South Coast Plaza (more importantly, the travesty that there is no Cinnabon there) and the Los Angeles Dodgers. 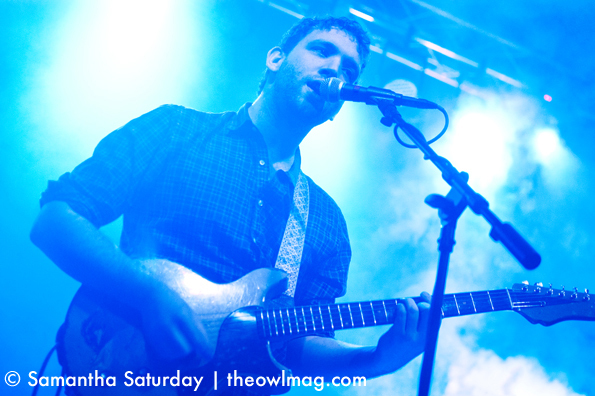 By their last song the duo proved that they were not only worthy openers for Bazan, but that they would do just fine headlining. 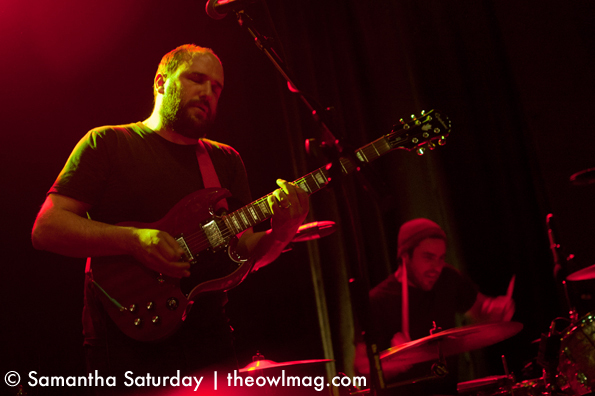 Keeping things moving along, David Bazan took the stage with little fuss or fanfare. 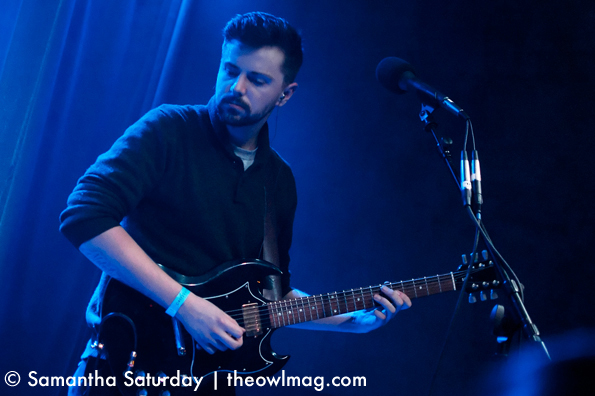 Amid shout-outs from obviously eager fans, the bearded singer dove straight in with a Pedro the Lion favorite, “Second Best.” Knowing Bazan best under the nom de plume Pedro the Lion, I was immediately taken by his fervent yet graceful pounding on his guitar. His performance, inclusive of material from all his musical outfits, was raw and sweetly earnest all at once. Even older songs like “Of Up and Coming Monarchs” were performed wholeheartedly, as if he were freshly minted. To add to the intimacy, Bazan paused several times between songs to ask if “there [were] any questions at [that] point in the show.” Fans asked questions ranging from his favorite brand of whiskey to his views on the Republican party to when and how someone could host a David Bazan house show. Regarding the latter question, the singer lit up, delighting eager fans with the information on how they could do so. 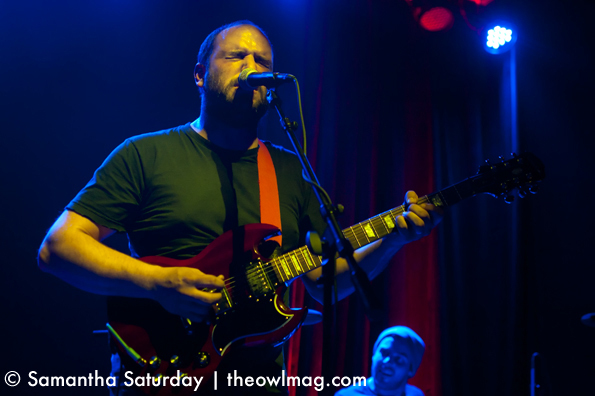 For an artist who has been around as long as David Bazan, his performance remains lively and passionate.